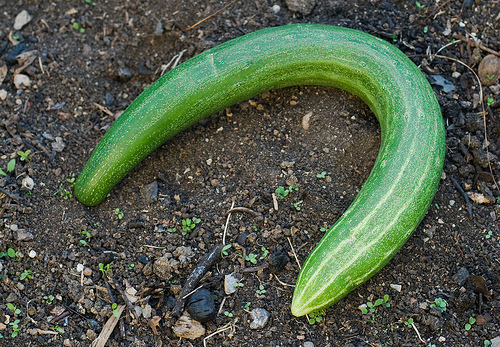 I read with interest this week that leading UK supermarket chain Asda is starting to sell oddly shaped vegetables in a bid to waste less food. This announcement leads me to draw a few conclusions that I would like to share with you all, and brings back a few memories. My mum and dad had 3 boys to bring up, in the dark shadow of the mills of Manchester, and they probably weren’t what we would call rich (today). Every year we went to Skegness for our summer holidays, and every Sunday went to the market. Markets were a different thing then I think, everyone went. My mum used to buy her biscuits there. She bought them in a bag, a huge bag a bit like the ones we use today to put the rubbish in. The biscuits were broken. They had not made it into the boxes in the factory, were collected up and sold in huge sacks for next to nothing (I presume). There was a chip shop too that put batter bits on your chips if you asked, the crumbs that had fallen into the fat off the fish, lovely. As I became some form of adult I continued the tradition. A local chocolate maker sold bags of ‘misshapes’, again chocolates that had come out of the mold wrong, had treacle dribbling out of them or had got squashed. The same chocolates that cost a fortune in their branded high street shops. Surely this must be a good way to use the wasted ones, although there is the issue of supply and demand that I raised in my previous post about food waste. So back to Asda. They are going to sell strangely shaped vegetables for less than their regularly shaped cousins. Are they going to sell them for less though because maybe they are worth less (or worthless)? This is a strange idea for sure. They are all fresh vegetables, they all contain exactly the same nutritional value, you can cook them all and they all taste the same, so why sell them for less? Well we live in a society here in Europe that has engineered a situation in which only certain shapes are good. You might recall I mentioned ableism in a recent post and it certainly isn’t difficult to see how the human figure has been moulded into an ideal type, with all variations somewhat frowned upon or in need of correction (particularly I feel in the case of women). And this is also the case for vegetables. In this case aesthetics is enshrined in law, as the European Union has regulations about the size and shape of fruit and vegetables. These regulations were ridiculed in the popular press ten years ago as it was said that straight bananas could not be sold. Read all about it here. And vegetables come in at least 3 categories; nice looking that go into supermarkets, not so nice looking that go into processed food production, and unfit for human consumption, that go into animal feed. But it can all be used, you get less for the ugly ones however. So producers have always been able to sell these vegetables, but for different uses and at different prices, so I must come to the conclusion that this is a marketing ploy in order to sell them for more. Just my opinion of course, but cynicism runs deep in my line of work. It would be great to see them though in with their cousins for sale all together at the same price, but reports are that they are often left on the shelf to rot. Apparently people prefer a correctly curved banana to a straight one, and a straight marrow to the one in the photo above. These misshapen veggies can still sell on your market, right? Because in our market here I can see so many misshapen veggies. I am not sure where you are Dylann, but in Europe vegetables are all the same size and shape. This is a standardized part of the world, for reasons of industrial efficiency originally but now for almost everything. My nine year old son balks when he is offered a piece of fruit that is less than perfect. My memory of growing your own from fruit trees is that a sizable % end up looking a bit strange. I have heard the batter bits story recently from an older Australian. I think it was quite a popular additive to chips during the depression. I certainly hope that you are not implying that I remember the depression! I certainly wouldn’t be implying that you are old enough to remember the depression. On the standardisation of vegetable sizes in the UK it always amazed me how many different things came shrink wrapped in plastic. In Australia it only appears to be cucumbers while in the UK it was a whole range of vegetables. I think we have been taught by marketing agencies that we shouldn’t accept unconventional shapes. As you say, there are no nutritional differences, but who on earth would want to eat a slightly straighter banana? Gosh; just think of it!!! How terrifying….